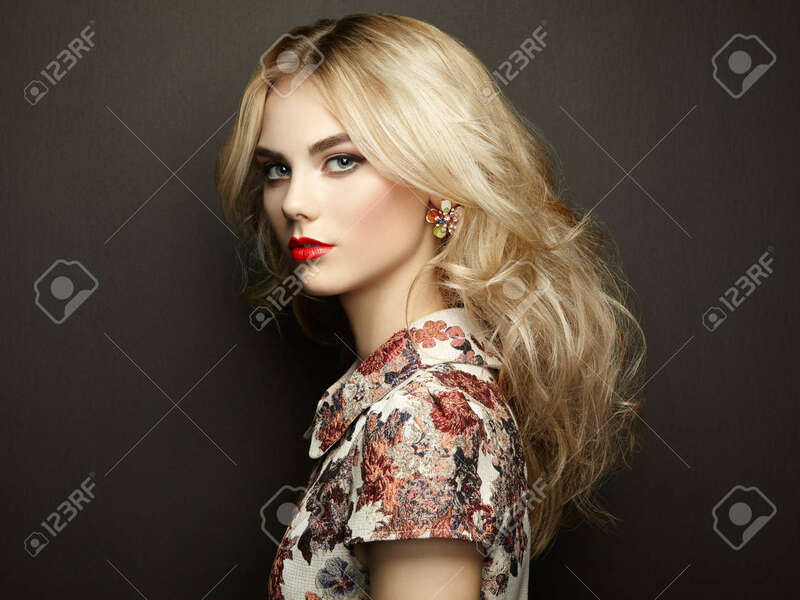 Portrait Of Beautiful Sensual Woman With Elegant Hairstyle. Perfect Makeup. Blonde Girl. Fashion Photo. Jewelry And Dress Foto Royalty Free, Gravuras, Imagens E Banco De Fotografias. Image 46206503.